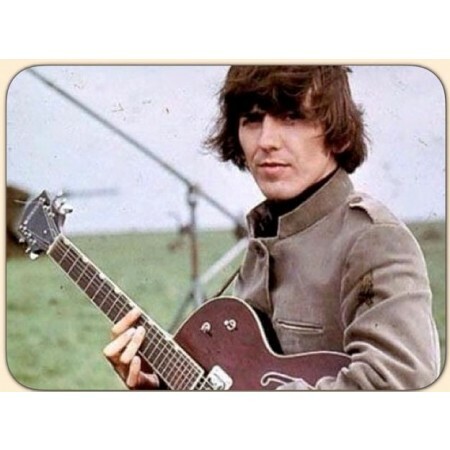 This is Beatwear's interpretation of a jacket worn by George Harrison on the film set of Help! 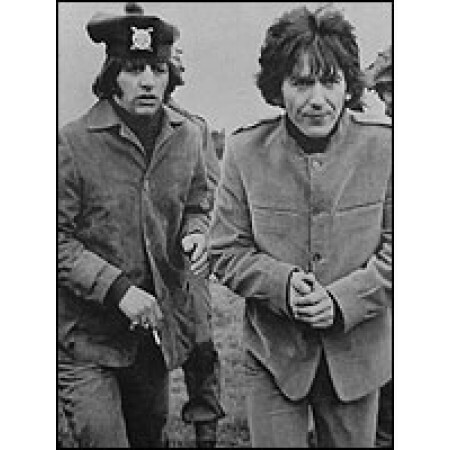 on Salisbury Plain, May 1965. A distinctive style, made from a narrow ribbed medium weight corduroy. 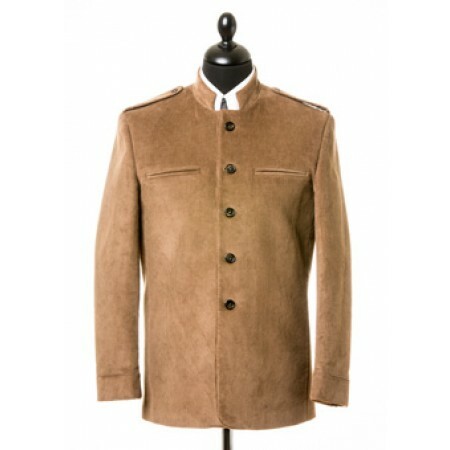 The colour is biscuit-beige and is made from the finest 100% Cotton Yarns. 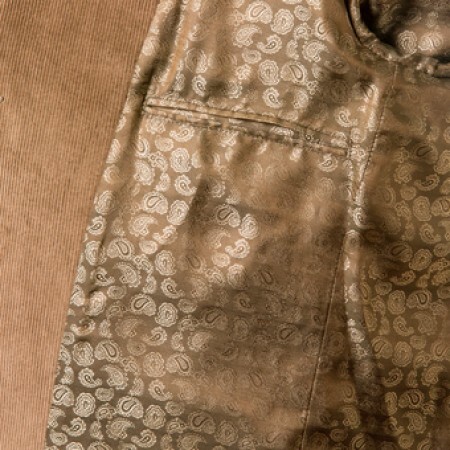 A flattering gold/brown paisley lining finishes it to a high standard. It is designed to be worn all year round. Nehru Collar with two breast slit pockets, epaulettes and button front. **Please note: The size range of these coats are in inches and is a UK/USA size scale - in general for the European chest size you increase the number by 10 ... ie a UK/USA size 48 would equate to a German/French size 58. We recommend you google a size conversion chart or email us for further advise if you are unsure of your size. 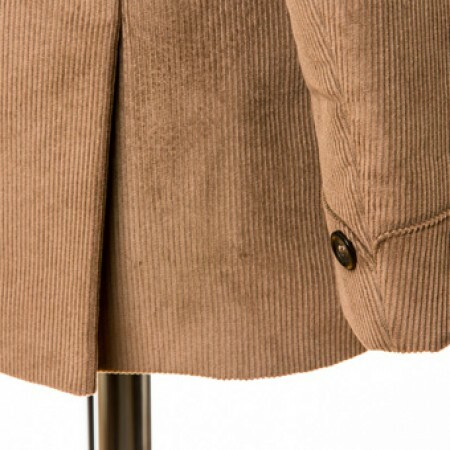 Size Range for the George Coat - from 36” to 52”, with Regular and Long lengths. 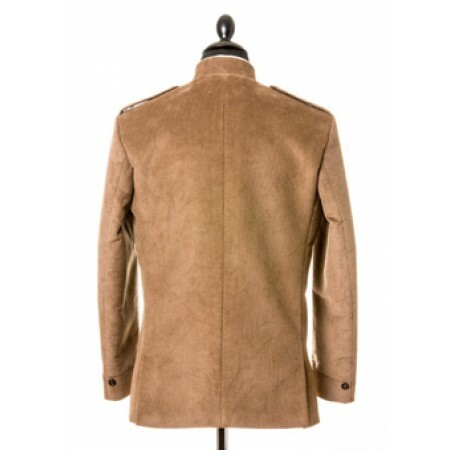 This jacket fits a little like a tunic and true to size - if you wish to only wear a T Shirt, shirt or light weight crew/roll neck underneath. If you want a more comfortable fit in order to wear a jacket or heavy jumper underneath then you need to increase by one full size.